Safety increases in opposite proportion to human involvement,” says Doug Annett, the director of operations at Skid Control School, a driving school in Oakville, Ontario.Steven Waslander, a professor at the University of Toronto and a leading expert in control systems for aerial and terrestrial robotics, points out that 94 per cent of accidents are caused by human error and most accidents can be linked to drivers who are distracted, drowsy and/or drunk. “Since computers don’t suffer the same attention issues, they will not make these kinds of mistakes,” he says. A 2015 report from the Conference Board of Canada, the Van Horne Institute and Canadian Automated Vehicles Centre of Excellence (CAVCOE) concluded that self-driving vehicles could play a significant role in preventing 1,600 of the current 2,000 annual road fatalities in this country.In addition to removing distraction, drowsiness and drunkenness from the accident equation, fully-automated vehicles also add another layer of protection, notes Barrie Kirk, executive director of CAVCOE in Ottawa. “Self-driving cars have a whole bunch of computers that do a 360-degree scan around the car about 30 times a second. No human can come close to that.”Autonomous cars also alert drivers to potential hazards. “There is onboard technology that can sense and predict hazards of which the driver may be unaware and either warn the driver or intervene in the driving task. In this way, it can assist the driver to avoid obstacles and prevent crashes,” says Ian Noy, a human-factors consultant in Fort Myers, Florida. Although fully automated vehicles are still very much a thing of the future — likely decades from now — auto experts predict the day will come when drivers become redundant. The Society of Automotive Engineers (SAE) International have identified six levels of driving automation: Level 0 requires full participation of the driver, while Level 5 requires no human involvement at all. In between the two polar levels are increasing involvement by machine and decreasing involvement by warm-blooded drivers.“Safety improves with higher levels of autonomy, assuming the technology is reliable under a wide range of conditions and secure. However, levels 1 to 4 all require a driver to at least monitor the driving and be prepared to take over control,” says Noy, a former director of standards research and development at Transport Canada. Annette thinks that the real breakthrough in safety is yet to come. “Currently, autonomous vehicles rely on sensors and satellite communication to detect or map their way around. The [fifth generation] world will enable communication between vehicles and the environment,” he says.That means instead of the car detecting a stop sign and reacting to it the way a human would, the stop sign will tell the car to stop, or vehicle-to-vehicle communication will seek right-of-way compliance. Most drivers are already comfortable with some measure of automation in their vehicles. “We have been living at Level 1 for almost a decade. Self-parking functions and adaptive cruise control are examples. Level 2 embraces integrated braking and lane keeping, but is unable to make lane changes,” Annett explains. “Some manufacturers would like us to think their cars are at Level 3,” he adds, “but for government regulation prohibiting the full release of their capability. ”Ontario, for example, is gradually introducing automated vehicles to its network of highways and city streets. In 2016, it launched a 10-year pilot program to test automated vehicles. On January 1, 2019, the program moved to a new phase: automated vehicles equipped with SAE Level 3 technology can now be driven on Ontario roads and are no longer restricted to registered pilot participants. Level 3 vehicles can make informed decisions, but a human driver is still required. ABI Research, an international market advisory firm headquartered in London, England, forecasts that eight million consumer vehicles shipping in 2025 will feature SAE Level 3 and 4 technologies. There will also be vehicles manufactured with SAE Level 5 technology, but it is unlikely to be widely embraced by government as there are reservations about introducing autonomous vehicles too soon or too comprehensively. In part, that hesitancy is linked to safety: autonomous vehicles are not immune to accidents.In 2015, a self-driving car tested by Google in Mountain View, California was involved in the first crash to injure someone. In this case, Lexus sports utility vehicles were rear-ended, and employees suffered whiplash and back pain. The following year, the first apparent death was reported in China after a Tesla Model S sedan crashed into another vehicle without reportedly braking first. 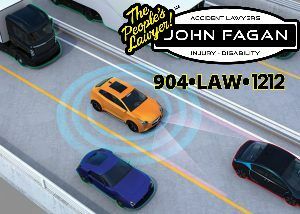 A number of factors were potentially at play in accidents involving autonomous vehicles. First, drivers’ over-reliance on the technology is the most serious safety issue, says Noy. Termed behavioral adaptation, it refers to drivers relying on fallible technology and not paying attention to the road, or pushing the safety boundary beyond reasonable limits. Behavioral adaptation may have been at play in well publicized collisions involving autonomous vehicles at some level, but other factors are also noteworthy. “Existing technology depends on simple infrastructure components like painted road markings, which when covered with snow, can blind sensors,” Annett notes. “As complexity increases, system failure presents real danger. Who hasn’t had a problem with Wi-Fi?”Hacking or power disruptions can also affect transportation, he adds. “Proponents of automation are confident that systems will be protected, but it is impossible to predict outcomes,” Noy suggests. “We are not there yet,” Waslander says. “The best self-driving cars drove 12,500 miles without intervention from a human driver — about equivalent to a year of human driving,” he notes. “Humans tend to make it 450,000 miles between accidents on average. ”Waslander also points out that self-driving cars are conservative by nature, which can be problematic on the road, especially in the current era and foreseeable future when self-driving and human-driven cars share the road. “Autonomous cars do not behave like human drivers,” he says. “They are more cautious, more uncertain in their assessment and prediction of future actions, harder to communicate with through eye contact or small motions. Much more needs to be understood on how to make autonomous cars more capable of working with humans on the roads.”The interactions between automated and manual vehicles sharing the same road-network system is fraught with problems, especially in urban or complex environments, Noy acknowledges. “An enormous amount of manoeuvring on the road today is based on driver eye contact and behaviour expectations. Human drivers will have considerable difficulty understanding robotic drivers’ intentions and vice versa. This can lead to serious conflicts,” he adds.At present, the discussion around self-driving cars and safety remains, at best, an educated guess. Corporate fleets, for example, will benefit from reductions in small, nuisance collisions, such as those that occur in parking lots. “Even current technology can assist here, but remains above the price point for many company car fleets,” Annett says. “True autonomous mobility will allow useful work to be done while being transported to the next appointment. Long-haul truck fleets should see benefits from the reduction of fatigue-related collisions.”In 2015, Uber Technologies Inc.’s then chief executive officer Travis Kalanick said he wants the company’s fleet to be driverless in 2030. That goal is unlikely to be on the wish list today as Uber suspended its self-driving car program after a pedestrian was killed by a test car in Arizona last year. Nevertheless, the move to autonomous vehicles is only going to grow, Kirk suggests.In its white paper entitled Automated Vehicles in Canada, the Canadian Council of Motor Transport Administrators (CCMTA) in Ottawa concludes that the anticipated deployment of automated commercial trucks will change freight transportation as we know it today. “With their wide-scale adoption, the automated truck will impact everything from the commercial driver’s ‘job description’ to how warehouses, receiving docks and logistics parks are designed and operated,” the CCMTA states. Solving driver fatigue is a major safety-management issue, and autonomous technology can come in useful by providing relief to long-haul drivers. “It is anticipated that self-driving vehicles will give drivers rest time during long hauls, and this could significantly reduce driver fatigue,” according to the CCMTA white paper. “The most grueling long-haul shifts stretch as long as 11 hours federally, and fatigue is a leading factor in the 4,000 annual deaths (U.S.) that result from large truck collisions. The self-driving truck can reduce driver fatigue and limit driver error and distractions.”Autonomous technology can also help protect young drivers as traffic accidents are one of the leading causes of death for young people, Kirk notes. Fewer injuries and deaths mean more down time in emergency rooms, where medical staff are often called on to deal with the aftermath of accidents.The vehicle-ownership profile is also expected to change for most people as vehicle ownership gives way to ride transport. “Ford has said the market for rides will be twice as large as the market for cars,” Kirk notes. “The first fully-automated cars will be driverless taxis,” which will make their first appearance in 2022 in city centres that have been well mapped, he adds. Job displacement and job creation will also accompany the move to more and fully autonomous cars. The Conference Board of Canada estimates that the rollout of connected, autonomous, shared and electric, or CASE vehicles in short, can result in a loss of more than 48,000 jobs in Canada’s automotive aftermarket alone.In 2017, the automotive aftermarket — which includes everything after a vehicle leaves the dealer’s lot, such as parts and accessories merchants, repair and maintenance shops and gasoline stations — employed close to 400,000 people and generated an estimated $27.6 billion in economic activity. A move towards CASE vehicles can result in a loss of $7 billion in gross domestic product and $5.4 billion in labour income in the aftermarket by 2051, according to a Conference Board of Canada report, A CASE of Disruption: Economic Impacts to the Canadian Automotive Aftermarket. “There will be some displacement,” Francis says. “Some occupations will be phased out, but there is significant opportunity to reskill people. ”Mechanics, for instance, will need to be retrained. Police officers and paramedics will spend less time dealing with accident incidents and injuries. For law enforcement, this free time may be subsequently consumed by becoming involved in preventing the cyber-hacking of vehicles — a real safety threat in the age of autonomous cars.In February, Synopsys, Inc., a California-based software company, and SAE International, a global association of engineers and related technical experts, released Securing the Modern Vehicle: A Study of Automotive Industry Cybersecurity Practices. The report highlights critical cybersecurity challenges and deficiencies affecting many organizations in the automotive industry. The study found that 84 per cent of automotive professionals have concerns that their organizations’ cyber security practices are not keeping pace with evolving technologies and 30 per cent of organizations do not have an established cyber security program or team. About two-thirds of those polled test less than half of the automotive technology they develop for security vulnerabilities, while 62 per cent say they lack the necessary cyber security skills in product development.